This is a modern oven that delivers good results, heats up quickly and includes some clever features that make life that bit easier. 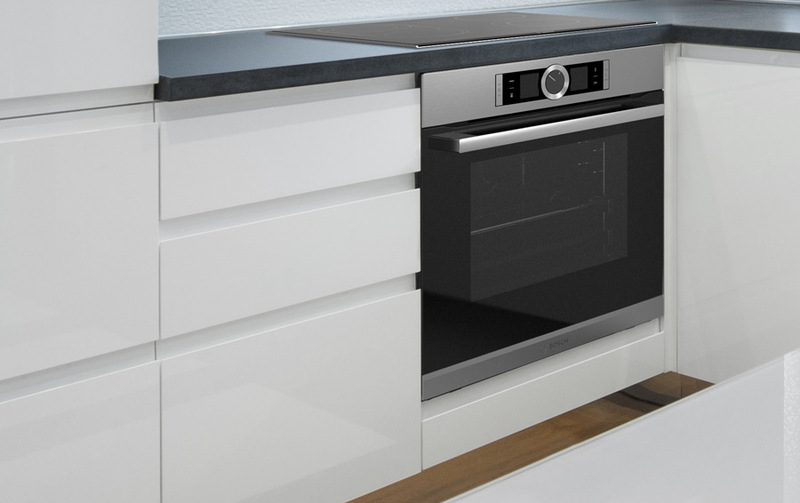 The Bosch HBN331E4B does not have many frills and whistles but it has a sleek, modern stainless steel design that would complement most kitchens. It can be fitted at either eye level or under a counter and has a good size interior, a bright interior light and a multi-function design. With a choice of four cooking functions and 67 litre capacity, this is an adaptable single oven that can cater to the culinary the needs of a large family. The multi-function design includes a 3D Hot Air function, defrost, hot air grilling and full width variable grilling. With the 3D Hot Air function, hot air circulates effectively throughout the oven, letting you cook a range of dishes at once. It is possible to roast vegetables and simultaneously bake a cake and you can also ensure an even temperature throughout for batch baking. 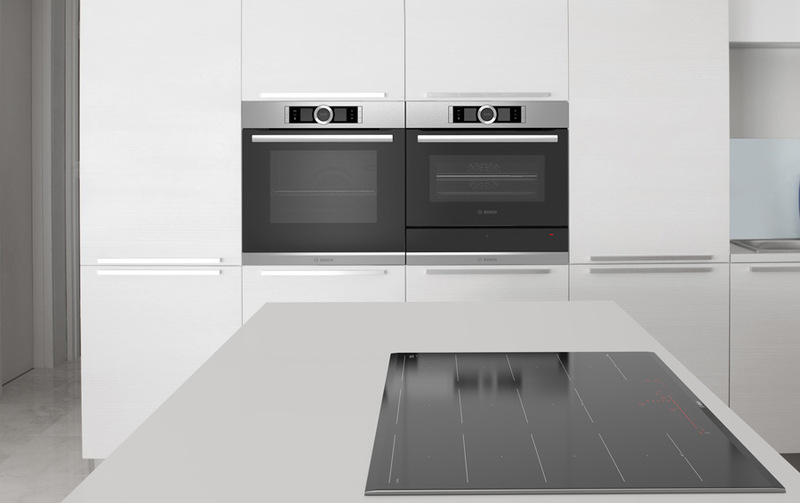 As well as achieving perfect cooking results, this oven is rated as Class A for energy efficiency and maintains impressively low energy consumption values. 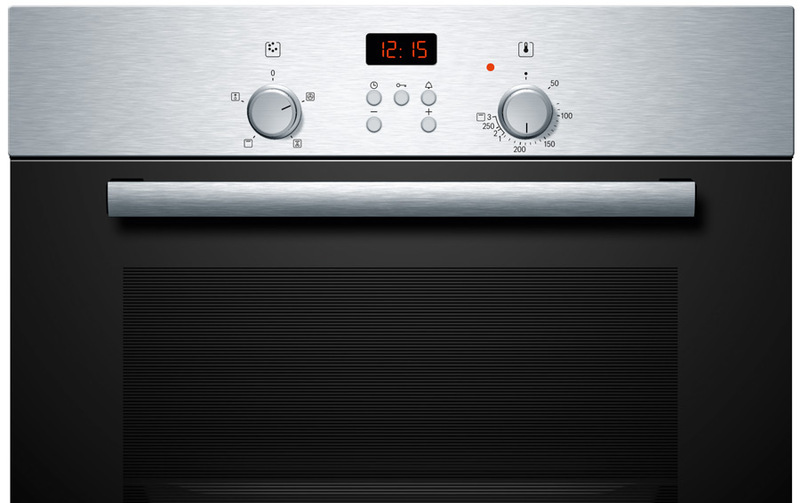 This built in oven is simple to operate with dials, timers and a clock that are all easy to read. It also features a flap door for convenient opening and closing. A safety lock means that you can cook without worrying that little fingers will accidentally turn on the oven when your back is momentarily turned. The Bosch HBN331E4B does not have an automatic cleaning function, but its simple design and smooth enamel interior makes it easy to wipe clean. 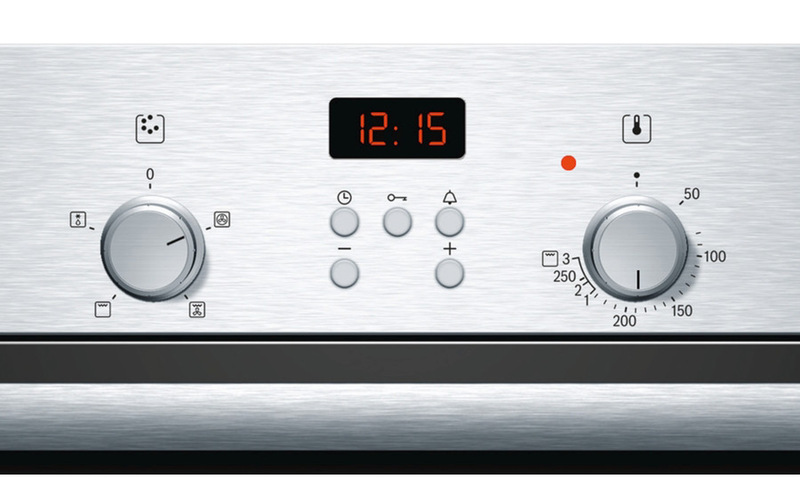 Enjoy the Bosch HBN331E4B Built-in Cooker review?